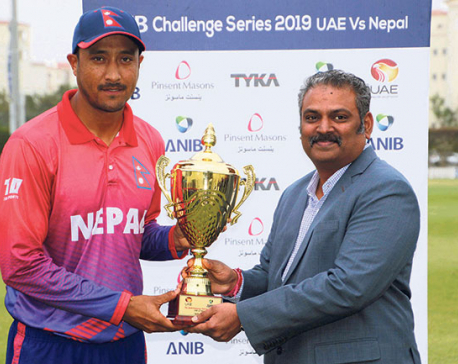 KATHMANDU, Jan 27: Nepal’s premier fast bowler Sompal Kami registered national cricket team’s first five-wicket-haul in One-Day International (ODI) cricket to secure a commanding win by 145 runs against the United Arab Emirates (UAE) in the second match of the three-match ODI series being held at ICC Academy in Dubai on Saturday. 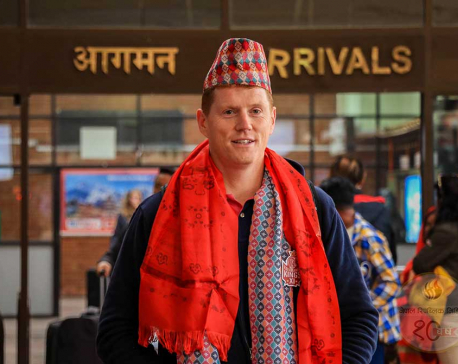 KATHMANDU, Dec 5: Irish cricketer Kevin O'Brien has arrived Nepal to feature in the second season of Everest Premier League (EPL). O'Brien will play for Kathmandu Kings XI(KKXI). 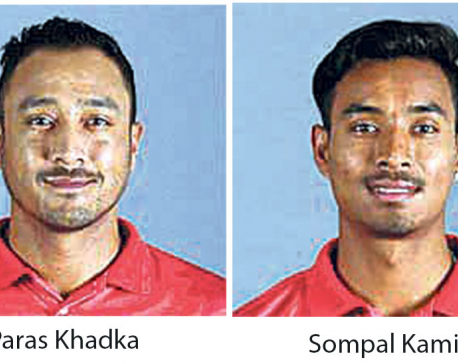 Sompal Kami is also in the team. 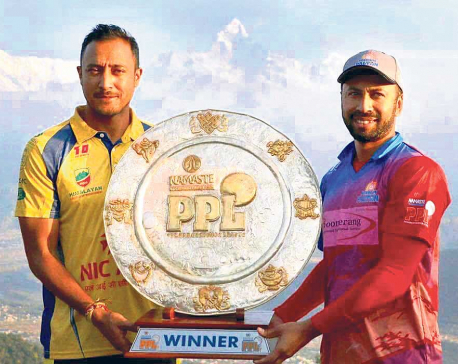 POKHARA, Nov 6: The inaugural season of Pokhara Premier League (PPL) under the lap of the Himalayas caused many hearts throb in Nepal and elsewhere. The jaw-dropping backdrop of Mount Machhapuchhre along with its peers Annapurna and other mountains in the range made a majestic view for the cricket being played on the ground. The arrival of ICC World Cup trophy in the midst of all this made the occasion more so worthy, especially, after winning the ODI status in Zimbabwe earlier this year. 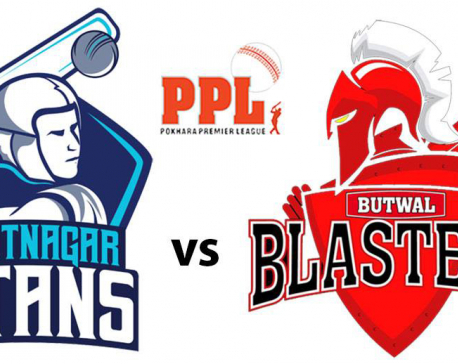 POKHARA, Oct 31: Biratnagar Titans has set the target of 141 runs to Butwal Blasters. In 20 overs, Biratnagar Titans scored 140 runs losing seven wickets. 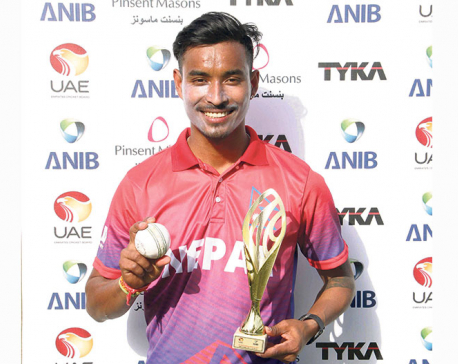 POKHARA, Oct 28: Butwal Blasters won by 33 runs to Pokhara Paltan. 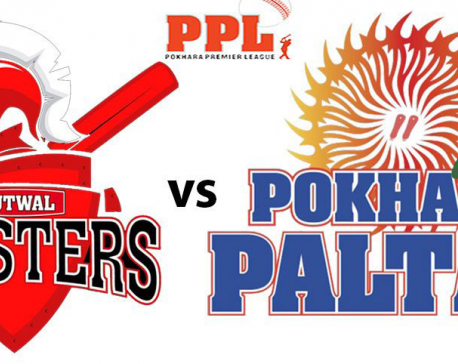 This is the second consecutive win for Blasters while Pokhara Paltan now has lost their first two games.